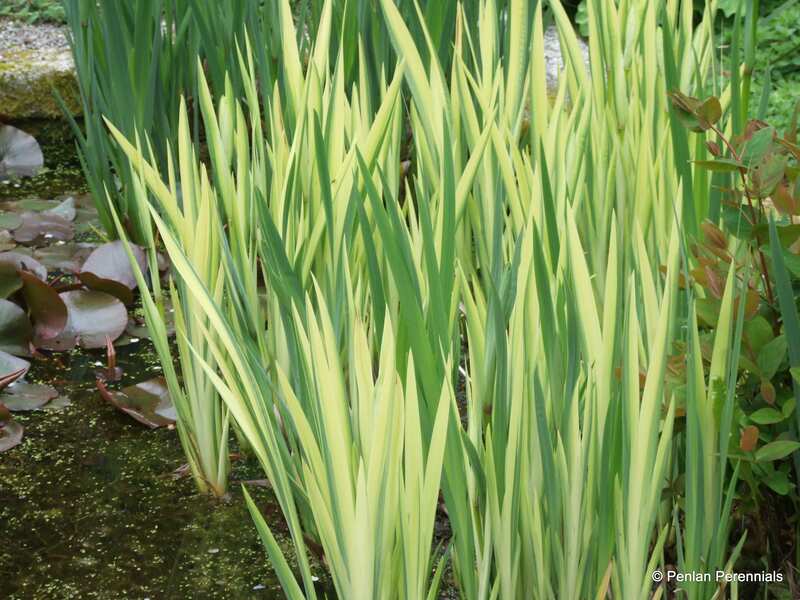 The flowers are yellow as in the ordinary native form but the leaves are variegated with a yellow centre and pale green edges, giving a striking effect. The foliage is best early in the season and fades out to plain green in late summer as the seed heads develop. Its large size means it is not suitable for very small ponds or water features. Native. 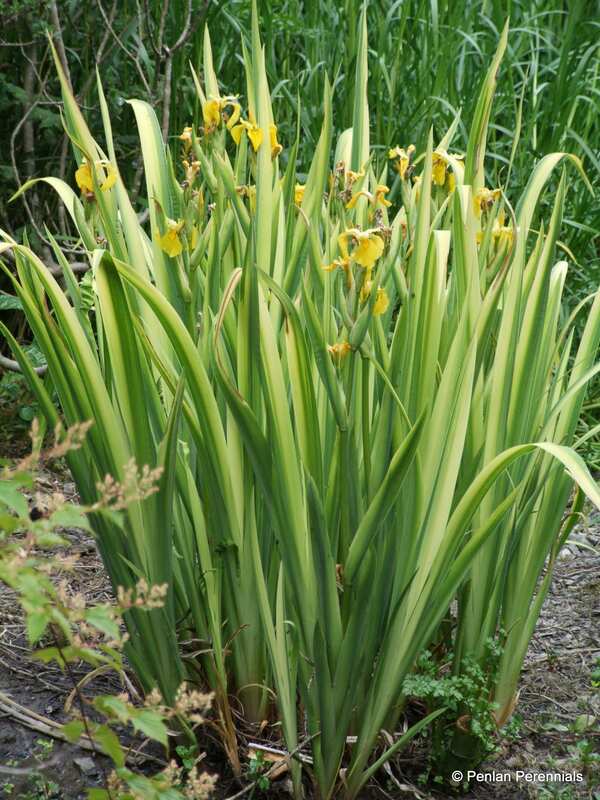 Planting depth in water 25cm/10”, but equally happy growing in any moist to wet soil, so also suitable as a waterside plant or for the bog garden. Attractive to damsel and dragonflies. If planting in water we recommend the use of a large planting basket to stabilise the plant. (see our 3.5 litre basket). In the ground, just remove old foliage in autumn. To propagate, divide after flowering, between July & September or collect seed and sow fresh in autumn.